A beautiful hill station surrounded by massive snow clad mountains and thick pinewood forests, Manali has the twisty Beas River as its magnificent centerpiece. Manali in the state of Himachal Pradesh is famous for its breathtaking Himalayan beauty. Resting at an elevation of 6260 feet, Manali is the top spot in the Kullu Manali valley and is blessed with many attractions. To grasp more about Manali, you can go through the Manali Travel Guide. 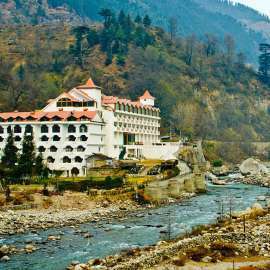 This eye-popping resort is sandwiched between the impressive peaks of the Pir Panjal and Dhauladhar ranges. 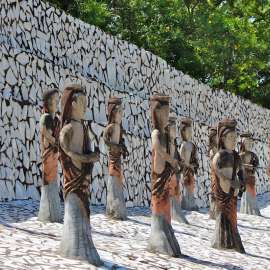 A sacred land, which is the abode of various Gods and Goddesses, this beautiful hill resort has a full calendar of numerous colorful events and festivals. Famous as the queen of valleys, Manali is named after the lawgiver of ancient India, Manu. 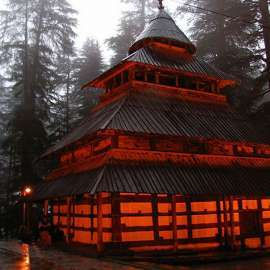 Manali means the abode of Manu, and hence this place has immense importance from the perspective of the ethnic culture and tradition of India. Manali Travel Guide also speaks about adventure sports. With skyscraping mountains surrounded by large snow-fed streams and deep rocky ravines, Manali becomes a different but perfect tourist destination for all. Manali offers excellent chances in mountaineering, trekking, and skiing. Manali tourism is fueled by two main seasons. The summer Holiday season when many people and families travel to this place on Manali holiday packages and the second big push to Kullu Manali tourism comes from the wedding season with thousands of honeymoon couples heading to the region. Manali also turns out to be an enchanting stopover for one who is driving up to the snowclad hues of Ladakh en route some of the highest mountain passes in India. 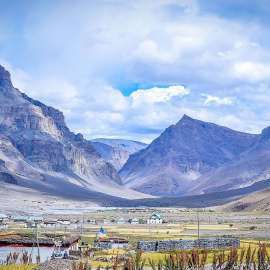 Manali Travel Guide directs you through some of the ancient hamlets inherited by the Tibetans that comes on your way to Leh-Ladakh. Also, the famous treks from Manali are - Chandrakhani - Malana trail, Beas Kund Trek, and Bhrigu Lake Trek. So stop your search here.